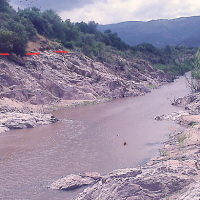 Flash floods occur in small to medium size river basins, and are characterised by fast temporal evolution. 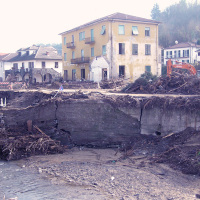 Because of their intensity and short warning times, flash floods often cause not only major economic damage, but also loss of lives. 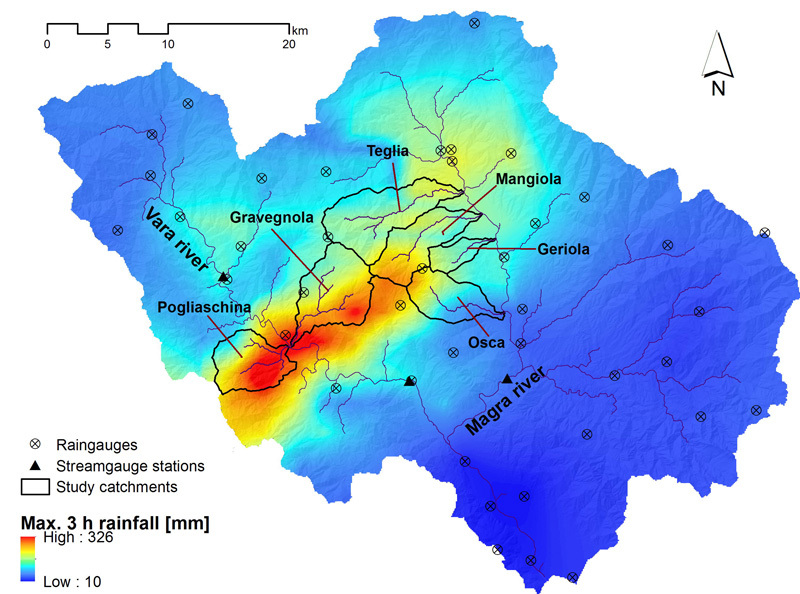 consistency check, based on rainfall-runoff modelling, of radar-derived rainfall and discharge reconstructed flow flood marks. 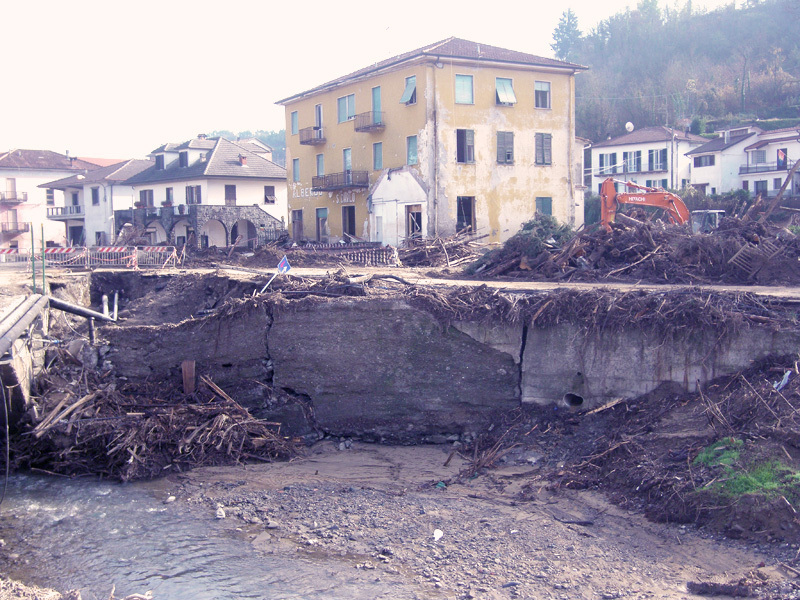 We are involved in the development of the observation methodology outlined above, that we have applied to a number of flash floods that have occurred in Italy and in other European countries from 2007. 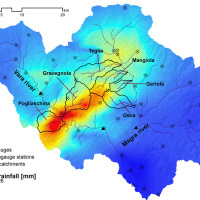 Through the analysis of a number of flash flood events we have constructed experimental datasets with important information of the flash flood processes, including data on peak discharge and its variability with catchment area, runoff coefficient, and catchments response time. 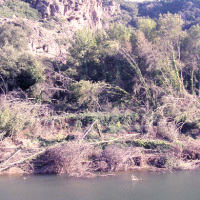 The assessment of flood discharge, together with the recognition of morphological variations of channels and instability phenomena on the hillslopes connected to the channel network, has improved our understanding of the geomorphic effects of flash floods, and the assessment of controlling factors.